Last time I featured bad tuner, I compared his music to a blend of Bonobo, Fakear and Romare. Imagine this, applied on top of an awesome, "dirty" dance electronica? Yep. We've got a winner. 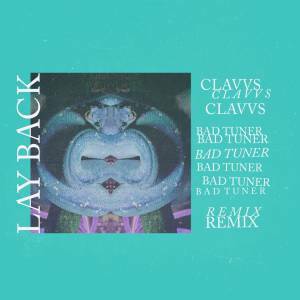 The Yugoslavia-born, Brooklyn-based musician takes on CLAVVS' "Lay Back" turning the original into the perfect late night dance till you get tired track. After meeting the clavvs crew at a late night disco I knew I had to remix their music. Amber’s sultry vocals and Graham’s 808s came together wonderfully turning their downtempo chill out number into a four on the floor heater. Lay back, and get up!